Paul Epsom met antiques expert Karen Keane in Brimfield, Massachusetts, for a stroll through the sprawling Brimfield Fair, one of the largest outdoor antiques markets anywhere. Their quarry: some ordinary, and not-so-ordinary, old objects you can use for a variety of fun purposes in your garden. Old wash tubs are something you frequently see at lots of antiques fairs. 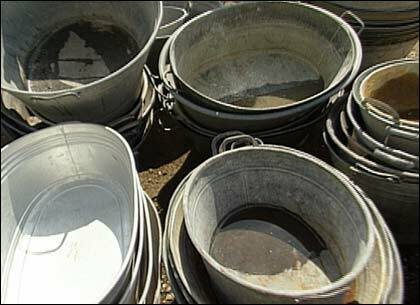 Usually from early on in the 20th century, they're typically of galvanized steel, often with a coating of zinc. They're water-proof and come in all kinds of nice shapes and sizes. Tubs are great for creating a water garden or to use in pairs as planters. Just make sure to select one that's free of rust. Very affordable at between $20 and $30 apiece. 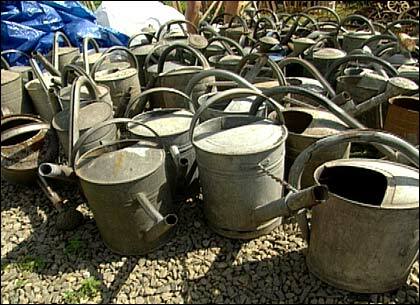 They don't make watering cans like they used to. With their graceful designs  looping handles and long, majestic spouts  they can be used as simple ornaments, planters, or of course, as watering cans. Prices range, but nice ones go for around $25. 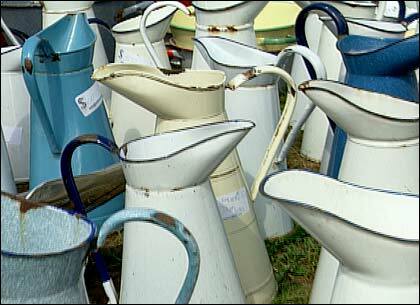 These heavily enameled metal jugs also have a pleasing, old-fashioned shape. They're very sturdy and make great planters, especially for indoor dried-flower arrangements. 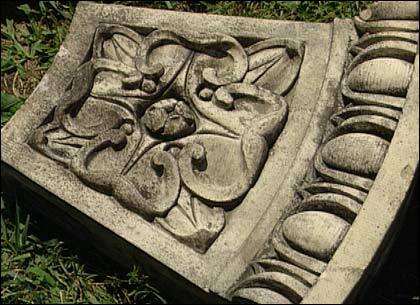 Another type of material that can really add drama to your garden is architectural fragments salvaged from old buildings. Paul and Karen found some cast terra cotta pediments from a Manhattan building with intricately crafted griffins and fleurs-de-lis  a sizeable investment at around $1,000, but very striking. Another good idea was a collection of half-moon window ornaments of white terra cotta, which could be handsomely positioned in and around plant beds  more affordable at about $75 per segment. 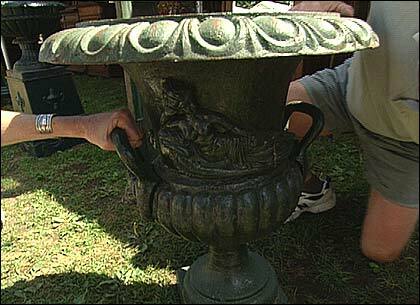 For more on antiques and collectibles of all kinds, visit ANTIQUES ROADSHOW Online!. Special thanks to ANTIQUES ROADSHOW for help in producing this segment.